An Ancient Solar System...: The Universe in 101 words : Does anything live on Ceres? The Universe in 101 words : Does anything live on Ceres? The odds are looking better and better. 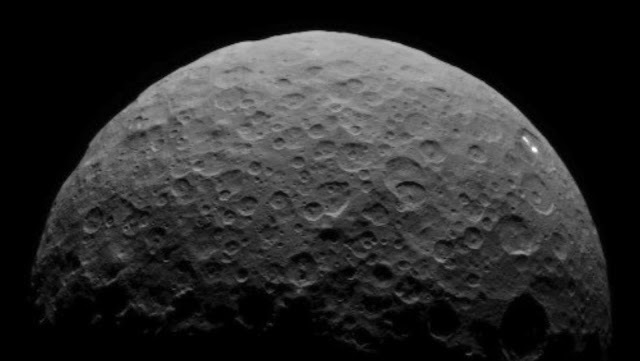 Located in the asteroid belt, Ceres is only a thousand kilometres across. But the Dawn space probe has found signs that It’s had internal warmth, running water, and organic chemistry in the past – possibly even today. Those things are thought to be the key ingredients for life to begin… so the odds of finding Cerean life just jumped – comparable, perhaps, to the odds of there having been Martian life. 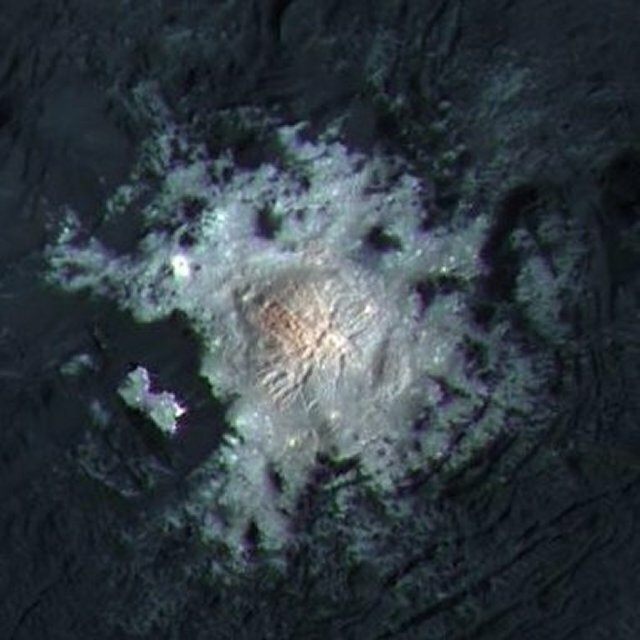 Above: Ahuna Mons, an ice volcano on Ceres.